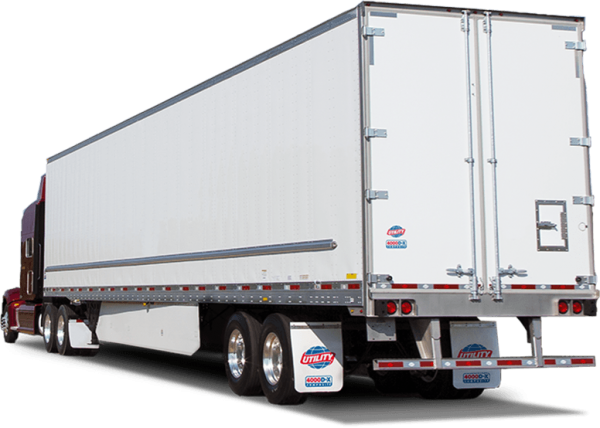 Utility’s stainless-steel rear door frame is engineered for lower maintenance, lower life cycle costs, and greater durability. For added stiffness to resist dock impact damage, the stainless-steel buckplate features a 3/8″ thick bang plate and light protection bars. Utility’s design provides up to 110″ of door opening height. Low-profile, 80,000 psi high-tensile galvanized steel wearband provides added impact protection, strength, and stiffness. Our 80,000 psi galvanized steel side posts are designed and torture-track tested for maximum strength and durability.Type “A” logistic slots on 8″ or 4″ vertical centers (depending on model) provide added versatility for cargo securement. 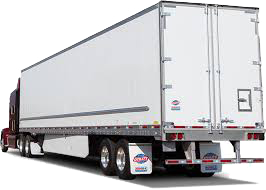 Utility’s patented design uses .050 skin in high stress areas to provide strength and .040 skin in low stress areas to lower tare weight and increase payloads.